I still have a few more coming in......ahhh the bussiness of the season. Here is a quick update on some projects that we have been working on. Kaitlyn and I made a Christmas countdown Calendar for her room. She had so much fun painting the picture frame. 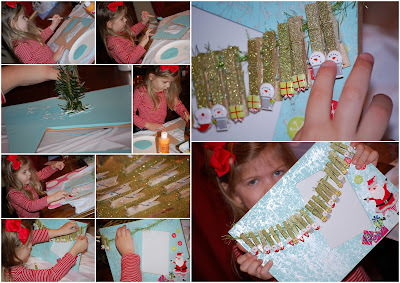 She used a branch from our Christmas tree dipped into some white paint to add some snowflakes to her frame. I spray painted the small clips I found at Hobby lobby with some glitter spray paint....I had no idea they even made that what a great invention....I see lots of glitter in my crafting future :)Kaitlyn decorated her frame with Santa stickers she picked out and viola we were done....each day she removes a clip as we get closer and closer to December 25th! 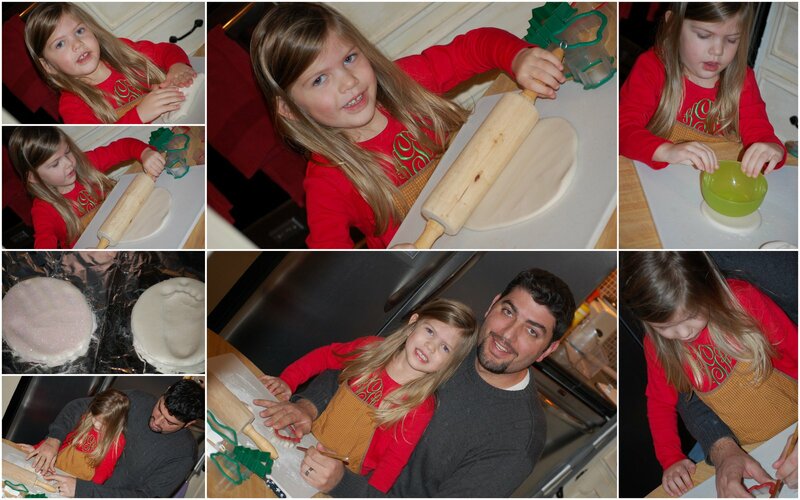 Tonight we made salt dough ornaments with Daddy for our tree they were so easy to make. mix together and then roll out onto a floured surface. Kaitlyn used cookie cutters to make some that we are going to paint later and then we made two special ones for our tree using K's handprint and Callen's footprint. To celebrate Thanksgiving we made some handprint turkeys for the fridge. 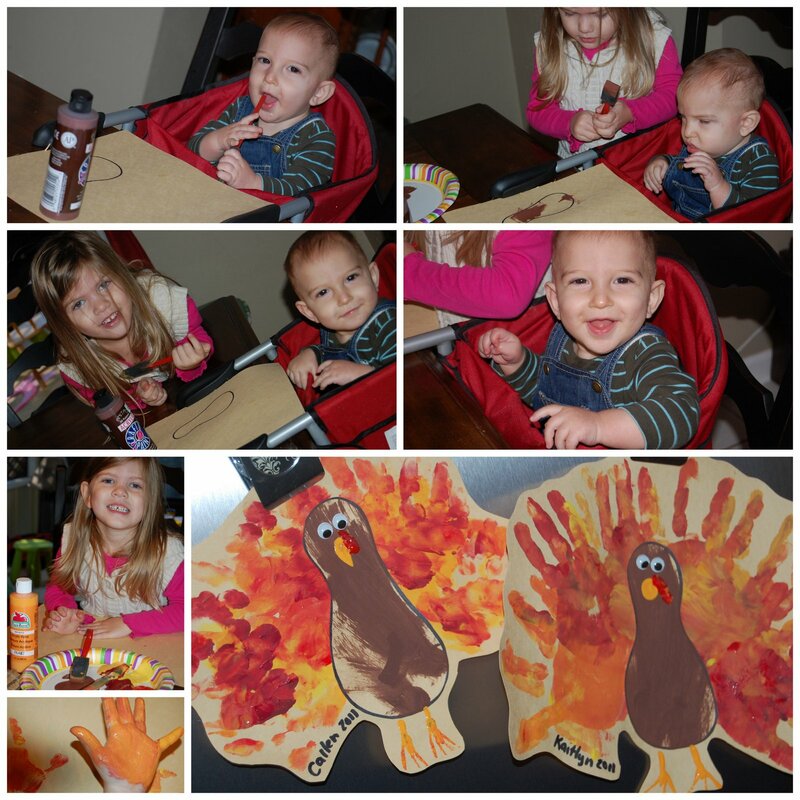 the kids loved playing in the paint and getting their hands messy!